In September 2018, we worked with the MRC Centre for Neuropsychiatric and Genomics at Cardiff University to host JAMMIND, a game jam funded by the Wellcome Trust. 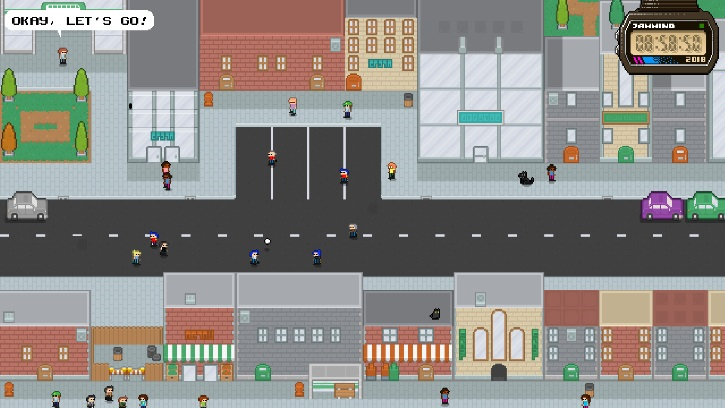 JAMMIND brought together video game developers, mental health researchers and clinicians, and mental health campaigners to create a variety of games aimed at accurate and positive portrayals of mental health. Over the weekend our teams produced three games. 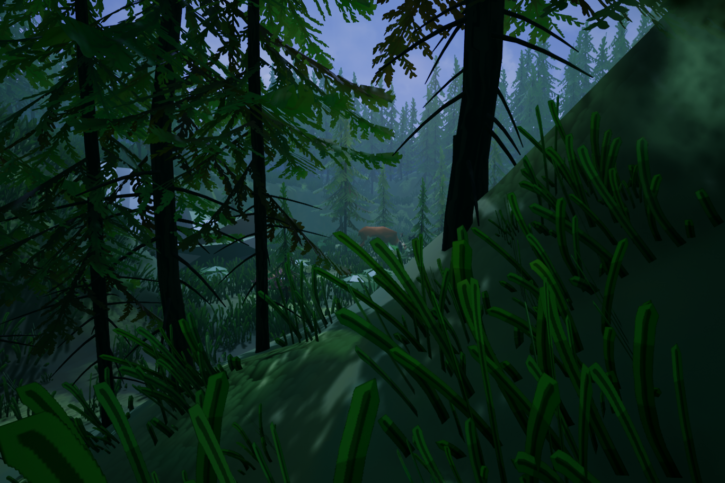 In Picturesque you play as a world-renowned photographer on the trail of a thought-to-be extinct species of reindeer. Throughout the game you will stumble across mushrooms that your character will become compelled to take photos of. Taking a photo of them will deal with the compulsion and allow you to continue. At the end of the game you will be prompted to search through the photos you have taken to submit a picture of the Dawson caribou, your target. Move the downloaded file into a folder of your choice and double-click it. After pressing the “extract” button, a folder called “Picturesque 1.3” will appear. Navigate to that folder and execute the file “dxwebsetup.exe”. This will install some components required for the game to run, installation needs an Internet connection and might take ~5-10 minutes, but it only has to be done once. Please note that you do NOT need to install the Microsoft “FREE Bing bar” app, you can refuse this when prompted at the beginning of the installation process. Execute the “Picturesque.exe” file. Instructions on how to navigate the game with either keyboard or gamepad are included in the “ReadMe.txt” file. The Interview takes its inspiration from the Big 5 personality trait model. This conceptualisation of our individual personality and psychology suggests that it can be fairly well described using five independent factors: conscientiousness, agreeability, neuroticism, openness and extraversion. This model is a well-respected one in the scientific community and has been used as a tool to study various mental health disorders, presenting them as extremes on one of the scales but, importantly, reflecting the independence and variability of these traits. This game aims to reflect some of the advantages this model has in terms of representing our psychology and mental health. By imagining these factors as 1-5 scales, it explores in a fun an engaging way the possible strength and limitations different trait values might have on a person’s ability to navigate through a new environment. Move the downloaded file into a folder of your choice and double-click it. After pressing the “extract” button, a folder called “The Interview” will appear. Navigate to that folder and execute the file “JammindTheInterview.exe”. Note some context for the game is included in the “readme.txt” file. Explore the life of a teenager struggling with the everyday tasks of society. Attempt to improve their mental state day by day, talking to people and completing homework. Learn their story through these tasks, try to understand what they’re going through. Developers: William Akins, Ardhan Fadhlurrahman, Dr Nicholas Clifton and Dr Anna Moon. Why can't I play all the games in my browser? As this was our first attempt at hosting a game jam, we made the entry requirements very open in order to reach out to as many game developers as possible. As such, we chose not to restrict developers based on programming engine or other features, only requiring them to make the game Windows-based. While browser games are quite popular nowadays, not all the game developing engines can produce a browser-based game with the same ease, and browsers have their own problems particularly with 3D games such as Picturesque. 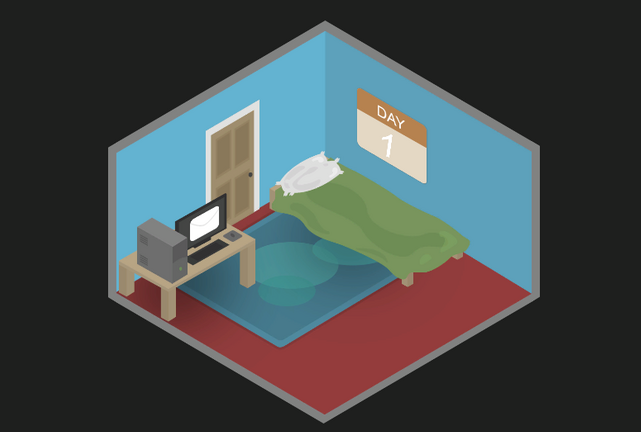 As we could not provide programming support to the developers during the jam, and the teams only had the weekend to develop their games, it was not possible for all teams to produce browser-based games. We would love to hear what you think of these games. Are they useful in helping people learn something new about mental health? Could video games provide a good platform to show how mental ill-health can impact people? Send your feedback to info@ncmh.info or get in touch on social media. How do these games measure up? Dr Antonio Pardiñas puts them through their paces and looks at the concepts behind them.